Product prices and availability are accurate as of 2019-04-21 22:49:23 UTC and are subject to change. Any price and availability information displayed on http://www.amazon.co.uk/ at the time of purchase will apply to the purchase of this product. 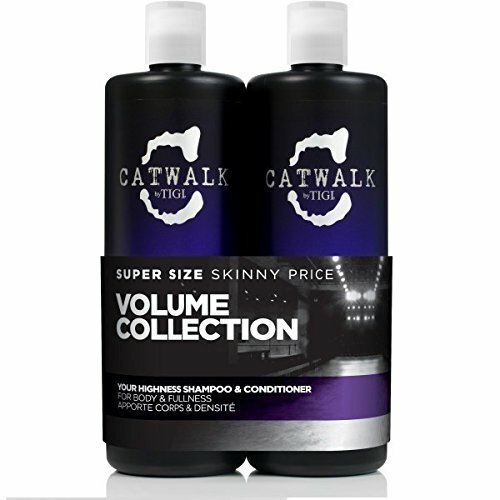 Perfectly prepare your hair for magnified styling with Catwalk Your Highness - a duo of light-weight sulfate-free formulas. The matching TIGI Your Highness conditioner hugs each strand of hair with weightless nutrition and shine. Work the Catwalk Your Highness Shampoo into a soap on damp hair.